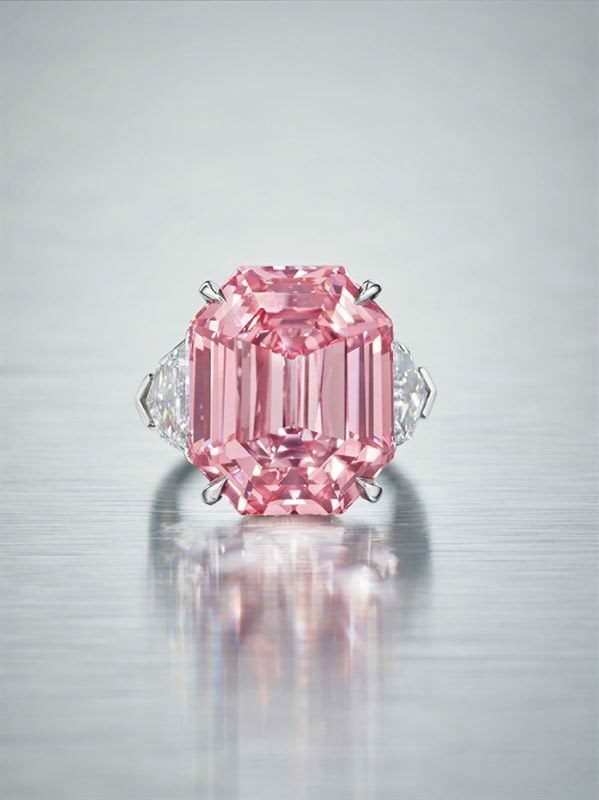 On 13 November 2018, Christie’s Geneva will present THE PINK LEGACY, the largest and finest Fancy Vivid Pink diamond ever offered at auction by the company. In the saleroom fancy vivid pink diamonds over ten carats are virtually unheard of and only four vivid pink diamonds of over ten carats have ever been offered for sale at auction. An historic level was reached in the international diamond market in November 2017 when Christie’s Hong Kong sold ‘The Pink Promise’, an oval-shaped fancy vivid pink diamond of just under fifteen carats for US$32,480,500 (U$2,175,519 per carat), which established and remains the world auction record price per carat for any pink diamond.